Primary elections lend weight to political extremes. The charm of democracy is the graciousness with which the loser accepts defeat. It is a pretty rare charm. It is particularly interesting to watch when some people, who support democracy absolutely, condemn the electorate for choosing someone who they believe would undermine democracy, or at least their understanding of it. They think: in a democratic society, all reasonable people will think like me. And if someone they detest is elected, then the election must have been corrupted in some way and the winner must be some kind of monster. The taste in monsters varies. In the 1950s, whoever was disliked by Joseph McCarthy and his followers was a communist. General George W. Marshall, who commanded the U.S. Army during World War II and later served as secretary of state did things McCarthy disapproved of. Therefore, he was a communist. Today, the monster of choice is the fascists. Whomever liberals dislike is a fascist and his election would be a catastrophe. If such an individual was elected, it would prove that democracy is already lost beyond hope. Donald Trump has won some primaries. He has not yet won the Republican nomination and is far from winning the presidency, but his behavior and values have so offended some people that he has already been declared a fascist. Please bear in mind that if given the chance I will not vote for him. But for me, a fascist is Adolf Hitler or Benito Mussolini. To call Trump a fascist reduces the meaning of fascism’s horror to the level of farce. Fascism is a systematic theory of government. It is not clear that Trump has a theory of government, or that, his operatic style not withstanding, his understanding of government is all that peculiar. But it is clear that by any historical standard with meaning, whatever he is, he is not a fascist. Trump offered himself as a candidate in the primary system that governs the election of most presidential candidates. He won a large number of delegates to this point. If he had lost, there is no evidence he would have attempted a putsch. John Boehner suggested today that Speaker of the House Paul Ryan should offer himself as a candidate for president and – without running in most, if any, of the primaries – go to the convention and try to cobble together enough deals to block Trump. Now, there is nothing at all illegal in this, but it runs counter to the hyper-democratic political culture that has dominated the United States since the progressives introduced the concept of primary elections early in the 20th century, which became the norm after the Watergate scandal. Watergate drove the final nail into the coffin of the national convention as the arena where the party bosses – mostly elected governors and senators – selected the candidate. Dwight Eisenhower, FDR, Abraham Lincoln and the rest were all selected by this method. But there emerged a growing movement that held this to be anti-democratic. Although the political parties are never conceived of or mentioned in the Constitution (and a political party is really a private organization that can put forward whatever candidate it chooses by whatever means it likes), the reforms turned the Republican and Democratic parties into public institutions expected to choose their candidates by certain prescribed means. In most states this means an election, the primary, in which selected delegates to the convention pledge to vote for the winning candidate, at least on the first ballot, if multiple rounds of voting occur. In some states it means a caucus method, which is too odd to describe here, but serves the same purpose. On November 02, 2015, the Meghalaya High Court, while hearing a matter pertaining to frequent calls for bandh in the state by the Garo National Liberation Army (GNLA), had asked the central government to consider enforcing the Armed Forces (Special Powers) Act, 1958 (AFSPA) and the deployment of armed and paramilitary forces in the militancy-hit Garo Hills region for maintaining law and order. The court noted that, as per the data supplied by the state police, a total of 87 people including 25 civilians, 27 businessmen, 25 employees of the private sector, five government employees and five teachers were abducted for ransom by insurgents in the Garo Hills region in the year 2015. The court further observed that the police and civil authorities in the region, despite their best efforts, are not able to control the incidents of kidnapping and killing and that the funds allocated by the central government have not helped in improving the law and order situation.1 There were sporadic protests against this order in the Garo Hills area and the central government decided to challenge it in the Supreme Court. That notwithstanding, essentially, this order of the high court aptly highlights the emerging threat from GNLA in Meghalaya. Meghalaya, literally meaning ‘the abode of clouds’, is a hilly state. It is bounded by Assam’s Goalpara, Kamrup and Karbi Anglong districts to its north and Cachar and North Cachar districts to its east. It shares a 443 km long border with Bangladesh on its south and west. The India-Bangladesh border is marked by a high degree of porosity and checking illegal cross-border activities has long been a major challenge. Meghalaya was created as an autonomous state, carved out from erstwhile Assam state, on April 02, 1970 and was granted full statehood on January 21, 1972. The Khasis, Jaintias and Garos are the key indigenous tribal communities inhabiting the state. Over the years, various people, tribals and non-tribals, from other parts of the country have settled down in the state. As per the 2011 census, Meghalaya has a population of about 29.67 lakhs, 85 per cent of which is tribal. Almost all the tribals in Meghalaya are Christians. Out of the 15 per cent non-tribal population, Hindus comprise about 10 per cent, Muslims two per cent, and others the remaining two per cent. Going stateless to maximize profits, multinational companies are vying with governments for global power. Who is winning? Yet a deeper look at the business shows its ascent veering off the American track. This wasn’t because it opened foreign offices in Mexico, Japan, and other countries; international expansion is pro forma for many U.S. companies. Rather, Andersen Consulting saw benefits—fewer taxes, cheaper labor, less onerous regulations — beyond borders and restructured internally to take advantage of them. By 2001, when it went public after adopting the name Accenture, it had morphed into a network of franchises loosely coordinated out of a Swiss holding company. It incorporated in Bermuda and stayed there until 2009, when it redomiciled in Ireland, another low-tax jurisdiction. Today, Accenture’s roughly 373,000 employees are scattered across more than 200 cities in 55 countries. Consultants parachute into locations for commissioned work but often report to offices in regional hubs, such as Prague and Dubai, with lower tax rates. To avoid pesky residency status, the human resources department ensures that employees don’t spend too much time at their project sites. On May 1, 2003, U.S. President George W. Bush delivered his infamous “Mission Accomplished” speech declaring, “In the battle of Afghanistan, we destroyed the Taliban, many terrorists, and the camps where they trained.” Yet almost 13 years later, the Taliban (meaning “the students”) remains alive and well, threatening Afghanistan’s security and persevering as a sharp thorn in the side of Afghan and U.S. forces. Last September, the Taliban captured Kunduz City, the capital of Kunduz province in northern Afghanistan, after besieging the city for over a year. Although the Taliban only held the city for two weeks, the group’s brief conquest marked the first time in 14 years of war that a major Afghan city had fallen to the Taliban insurgency. More recently, in December 2015, a Taliban suicide bomber was responsible for the deaths of six U.S. service members in Bagram, Afghanistan. In February, the Taliban attacked Afghan security forces in Kabul, killing at least 12 people. And just last week, the Taliban struck a police station in Afghanistan's Helmand province, killing three officers. Such events indicate that the Taliban’s lifeline remains strong. “The Taliban will continue to test the overstretched Afghan National Security Forces (ANSF) faced with problematic logistics, low morale, and weak leadership,” explained Director of National Intelligence James Clapper, when assessing the Taliban threat in 2016. Starting last year, U.S. and Afghan forces have witnessed an uptick in Taliban perpetrated violence. “Unlike previous years, the Taliban extended the fighting season, and has continued to conduct operations in Helmand, as called for by Taliban leadership,” testified former commander of U.S. forces in Afghanistan, General John Campbell, before the Senate Armed Services Committee last month. Gurbanguly Berdimuhamedov, the president of Turkmenistan, is on a two-day visit to Pakistan. As noted in several Pakistani news outlets, the highlight of his discussions in Islamabad with Prime Minister Nawaz Sharif has been, of course, the Turkmenistan-Afghanistan-India-Pakistan (TAPI) pipeline. 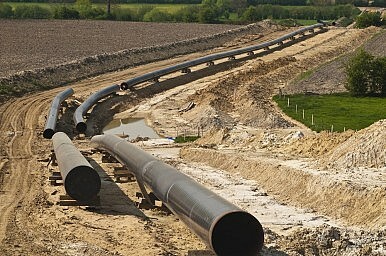 The most optimistic voices say the pipeline can be completed by 2018; in December Turkmen authorities said late 2019. But Pakistan is keen to “fast-track” construction. Many regional watchers are deeply skeptical of either target date. Pakistan, however, has doubled down on TAPI, despite the continuing instability in neighboring Afghanistan, through which the pipeline must pass. This week’s visit marks Sharif’s third meeting with Berdimuhamedov in the past nine months. He attended the TAPI groundbreaking in December and in late May 2015 Ashgabat was the penultimate stop on his Central Asia tour. Pakistan and Turkmenistan signed several cooperation accords and seven memorandums of understandingduring their meeting. Among the agreements was a program of cooperation for the next two years signed by Tariq Fatemi, Special Assistant to the Pakistani Prime Minister on Foreign Affairs and Turkmenistan’s Foreign Minister Rashid Meredov. The MoUs signed covered energy cooperation, the exchange of financial intelligence and several covered relations between Turkmen universities and institutes and Pakistani academic institutions. US polls, Delhi’s mirror A look at the US presidential contenders’ positions on issues that matter to India. March 15 was among the most critical days in the months-long US presidential election process. Senator Marco Rubio’s withdrawal after his defeat in his home state of Florida consolidated real estate tycoon Donald Trump’s position as the frontrunner for the Republican Party’s nomination. But Trump’s loss to Ohio Governor John Kasich in that state has also increased the likelihood of a disputed Republican Convention later this year, when the party’s nominee for president will be determined. Meanwhile, former New York Senator and Secretary of State Hillary Clinton won several states to increase her lead over Vermont Senator Bernie Sanders in the race for the Democratic Party’s nomination. Barring the late announcement of another candidate for either party, or a serious third-party entrant, one of five individuals — Clinton, Sanders, Trump, Kasich, or Republican Texas Senator Ted Cruz — will be sworn in as the next US president in January. There has been a lot of talk lately by senior Pentagon officials that the U.S. military is losing its long-held advantages in high-end warfighting capabilities. If one accepted uncritically statements by the Secretary of Defense, Deputy Secretary and Under Secretary for Acquisition, Technology & Logistics about how well our prospective adversaries are inventing and deploying new capabilities that undermine areas of U.S. military advantage, it is possible to conclude, as some in the media and the think tank class have, that the United States is in decline as a military power. One can understand the efforts by the Department of Defense’s (DoD) leadership to paint a fairly dire picture of how the global military balance is in danger of changing against this country. If uninformed about the growing danger, the American people and their representatives in Congress would be rightly reluctant to spend more on national defense. The Pentagon would like to see sequestration ended and more money made available for defense. Moreover, DoD wants support for its various plans to re-establish its erstwhile military-technical superiority, including by investing in a host of gee whiz capabilities, the so-called Third Offset Strategy, relying more on Silicon Valley and other non-traditional suppliers of advanced technologies and doing more experimentation and prototyping. Without question, the militaries of our prospective adversaries, most notably Russia and China, are getting better. It should not be surprising that after the U.S. demonstrated the wonders of stealth, precision weapons, unmanned aerial systems and advanced networks some 25 years ago that other countries would make similar investments. Nor that these same countries would focus their efforts, in particular, at arranging these new capabilities in ways to counter erstwhile U.S. capability advantages, for example by creating anti-access/area denial forces and investing in domains such as cyber, electronic warfare and space that the U.S. neglected. This does not mean that the situation is hopeless or that the U.S. military does not have a host of capabilities on which it can rely, perhaps with deliberate and phased upgrades, to restore a position of advantage. Indeed, the U.S. military is starting its military-technical renaissance with a very strong base of highly capable platforms and systems. As a frequent critic of the Obama administration’s foreign policy, I found Jeffrey Goldberg’s excellent interview a useful reminder that, for all my misgivings aboutthe Iraq War hawks that Barack Obama elevated, his persecution of whistleblowers, his decision to assassinate an American without due process, andhis flagrantly illegal warmaking in Libya, there’s a strong case that he was a better choice than any of his rivals. Many Republicans were pushing him to be more hawkish, including John McCain and Mitt Romney, either of whom might well have started a war against Iran by now and wouldn’t have been better on the other issues I’ve listed. Why the disparity between what American officials claim and what others report?The New York Times provided a first clue back in 2012, when it reported that the U.S. “in effect counts all military-age males in a strike zone as combatants, according to several administration officials, unless there is explicit intelligence posthumously proving them innocent.“ The same sort of dishonest standard was described last last year when a whistleblower provided The Intercept with a cache of documents detailing the U.S. military’s drone killings in Afghanistan, Yemen, and Somalia. One campaign, Operation Haymaker, took place in northeastern Afghanistan. In March 2016 China revealed more details about their new aircraft carrier, whose existence was only made official at the end of 2015. The new carrier will indeed be a new design but it will also be based on the first Chinese carrier, the Liaoning. This is a 65,000 ton, 305 meter (999 feet) long ship that is actually a modified version of the last Cold War Russian carrier design. China also confirmed that the new carrier would also have the ski jump deck like Liaoning. The navy revealed that the new carrier would be “more than 50,000 tons” and incorporate new design features that would enable it to carry more aircraft (mainly the J-15) in a larger hanger deck (just below the flight deck) as well as more fuel and aircraft weapons. The new carrier will be non-nuclear and apparently at least the same size as the Liaoning but incorporate design features that will make it more capable of surviving combat damage as well as operating more efficiently and effectively as a carrier. In addition to the Chinese built J-15 fighter the new carrier will also have some early-warning radar aircraft as well as some anti-submarine aircraft as well as some helicopters. China still won’t reveal how many carriers is plans to eventually build. Apparently they are going to wait and see how the design of the second carrier works, make necessary modifications and then build another two to five. Since carriers spend a lot of time in port getting upgrades and maintenance you need three or more in order to guarantee having at least two available at all times for operations. Recent revelations about the new carrier were not a total surprise as there had been reports that a large aircraft carrier was under construction in northwest China (Dalian) since 2013. One of the best sources of information on Chinese warship construction is the Internet. Thousands of Chinese naval buffs living close to major shipyards provide a steady supply of photos on the web. The Chinese government tried to prevent this but since 2005 came to realize that cracking down on enthusiastic and Internet savvy Chinese fans of the navy was not a wise move. A lot of important secrets are still preserved by building parts of ships in a shed and a lot of the most valuable military secrets are with equipment installed inside the ship or behind a wall. So the government allows all (with a few exceptions) these photos to appear. Then there are some interesting official photos. In mid-2014 photos of a carrier model being displayed at an official event appeared on the Chinese Internet. The detailed model had the hull number 18 and the ship looked similar to an American CVN (a Nimitz class nuclear aircraft carrier). The Chinese CVN has four catapults and three elevators and much other evidence of being nuclear and very similar to the Nimitz class. United States has always remained a pioneer in space and technology sector. Past governments have always provided ample funding to NASA, DARPA and other scientific research agencies to test new technologies. In 1957, the Soviet Union launched its Sputnik satellite into orbit. To stay neck-on-neck with them, President Eisenhower formed the Advanced Projects Research Agency (ARPA) in 1958. The name got a D for Defense as its starting alphabet in 1973. Since that time, DARPA-funded research has been a very important part of an extraordinary era of technological dominance, ranging from stealth technology to the Internet. China is seemingly looking forward to attain a similar technological edge now. To achieve the same, the nation is working on its own agency on similar footprint of DARPA. In a recent Science report, it has been mentioned that under President Xi’s reorganization of the armed forces for staying dedicated to five theaters of operation, China has come up with a new science and technology committee to run defense R&D. The journal added that as per a spokesperson for China’s Ministry of Defense, dubbed in Chinese as asjunweikejiwei, the committee has been planned to meet the requirements of China’s military modernization. The spokesperson mentioned that the committee will make management of defense S&T stronger, endorse native innovation in national defense, and synchronize integrated progress of military and civilian technologies. The central government of China has planned to spend $147 billion on defense in 2016, and the amount set for defense R&D hasn’t been disclosed. Dennis Blasko, a former Army attaché at the US Embassy in Beijing, said, “Nobody knows how much is spent on military R&D”. WASHINGTON -- The Obama administration is moving toward what could be a dangerous showdown with China over the South China Sea. The confrontation has been building for the past three years, as China has constructed artificial islands off its southern coast and installed missiles and radar in disputed waters, despite U.S. warnings. It could come to a head this spring, when an arbitration panel in The Hague is expected to rule that China is making "excessive" claims about its maritime sovereignty. What makes this dispute so explosive is that it pits an American president who needs to affirm his credibility as a strong leader against a risk-taking Chinese president who has shown disregard for U.S. military power and who faces potent political enemies at home. "This isn't Pearl Harbor but if people on all sides aren't careful, it could be 'The Guns of August,'" says Kurt Campbell, former assistant secretary of state for Asia, referring to the chain of miscalculation that led to World War I. The administration, he says, is facing "another red-line moment where it has to figure out how to carry through on past warnings." What troubles the White House is that President Obama thought he was assured by President Xi Jinping in Washington last September that China would act with restraint in the South China Sea. "China does not intend to pursue militarization," Xi said publicly in the Rose Garden. China's recent moves appear to contradict these assurances. Administration officials point to China's installation of surface-to-air missiles on Woody Island in the Paracel chain in February, and its recent installation of military radar systems on Cuarteron Reef, one of the artificial islands it has created hundreds of miles from its coast. Obama cautioned in November against such provocative actions, telling an Asia-Pacific economic summit: "We agree on the need for bold steps to lower tensions, including pledging to halt further reclamation, new construction, and militarization of disputed areas in the South China Sea." China has largely ignored such warnings, and the administration's problem now is how to assure Southeast Asian allies that it's not passive about the Chinese threat, while avoiding open military conflict. The U.S.-China breach could widen when Obama and Xi meet March 31 at the Nuclear Security Summit in Washington. The rise of the Islamic State and its spread across Africa and the Middle East may seem like a novel phenomenon, but it is hardly a first. In 1881, when an Islamic cleric in what was then called “the Sudan,” declared himself to be the Mahdi-the successor to the Prophet Muhammad and leader of a universal jihad that commanded the loyalty of all humankind-the alternative to obedience was death. The Mahdist State ended at the start of the twentieth century, its global ambitions never realized. Today’s Islamic State is less than two years old. Its black flag has been raised in a dozen countries outside of Syria and Iraq. As the self-proclaimed caliph, Abu Bakr al-Baghdadi demands the obedience of all Muslims worldwide. The Islamic State claims affiliates in Libya, Egypt, Saudi Arabia, Yemen, Algeria, Afghanistan, Pakistan, Nigeria, Tunisia, the North Caucasus, and elsewhere. And terrorist attacks have been carried out in the Islamic States’ name in the West, including in the United States. But how real are these claims and how serious is the threat that the Islamic State’s brand of jihad will spread on a global scale? The Islamic State calls its claimed territories wilayah or provinces, which it “annexes” thereby nullifying any existing national boundaries. The wilayah in Syria and Iraq have actual governing authorities. Those beyond are aspirational. In some graphics, the emergence of one affiliate puts the entire country under the Islamic State, but this is misleading. These are outposts of like-minded fanatics-advance parties in a few places, not armies of occupation. But it’s not easy to translate these expressions of solidarity into operational cooperation, which requires coordination and central decision-making. Military alliances work well so long as members don’t actually have to follow orders. IS has reshaped the jihadist landscape: its strategy bloodier than that of al-Qaeda, from which it split in 2013; its declared caliphate across much of Iraq and Syria and grip on a Libyan coastal strip; thousands of foreigners and dozens of movements enlisted; its attacks in the Muslim world and the West. Fighting on multiple fronts – against Iran’s allies, Sunni Arab regimes and the West – it has woven together sectarian, revolutionary and anti-imperialist threads of jihadist thought. Its leadership is mostly Iraqi but the movement is protean: millenarian and local insurgent; to some a source of protection, to others of social mobility and yet others of purpose; with strands aiming to consolidate the caliphate, take Baghdad or even Mecca, or lure the West into an apocalyptic battle. Primarily, though, its rise reflects recent Iraqi and Syrian history: Sunni exclusion and anomie after the disastrous U.S invasion; harsh treatment under Prime Minister Nouri al-Maliki; and the brutality of President Bashar al-Assad’s regime and its allies. Any response must factor in IS’s many faces. But mostly it needs to address Sunni suffering in the Levant and the dangerous sense of victimisation that has helped spawn across the Sunni Arab world. ISTANBUL — I recently spent a few days in Malaysia, where I was promoting the publication of the Malay edition of my book, “Islam Without Extremes: A Muslim Case for Liberty.” The publisher, a progressive Muslim organization called the Islamic Renaissance Front, had set up several talks for me in Kuala Lumpur. As any author would be, I was happy to learn that the team was enthusiastic about my book and had been getting good feedback from audiences and readers. But I was troubled by something else that I suspect many Muslim authors have experienced: My publisher was worried about censorship. On Monday — less than half a year after Russia announced its intervention in Syria — President Vladimir Putin stated that beginning Tuesday, Russia would begin withdrawing “the main part” of its air forces from the country’s civil war. The announcement preceded a phone call with U.S. President Barack Obama, in which Russia claimed that its withdrawal was part of a gesture intended to bolster the “start of a true peace process” with the resumption of talks in Geneva today. Yet this statement came on the heels of Foreign Minister Sergei Lavrov’s suggestion that Russia would be supporting the U.S.-led Coalition’s campaign against the Islamic State in Iraq and Syria (ISIS or ISIL) in Raqqa with its own assault on ISIS positions further south in Palmyra. Even in announcing withdrawal, Putin also made clear that Russia would continue a “routine” military presence not only at the pre-war Tartus naval base, but also the Khmeimim air base purpose-built for its 2015 intervention. Yet while the scale and scope of this withdrawal remain to be seen, the announcement of the policy alone sends important signals about the evolving shape of Russia’s political and military commitment to the Bashar al Assad regime. The logic of Russian intervention rested on striking an important balance between the need to shore up an embattled client state without succumbing to an unbounded commitment to its multi-sided civil war. The limits and tradeoffs of Russian resources and the preservation of Russian leverage both over the Assad regime and among the international parties to Syria’s civil war all suggest motivations for Russia’s withdrawal, but observers will need to carefully monitor the actions that follow Moscow’s words to better discern its Syrian strategy. While Syria’s civil war is far from over, Russia’s declaration of a successful mission is not without merit. As four reactors at the Fukushima Daiichi Nuclear Power plant suffered catastrophic cooling failures and exploded in March 2011, the world watched in disbelief. For Japan, this was not just the greatest nuclear disaster since Chernobyl. It was "the most severe crisis ... since World War II." Five years on, the nation continues to struggle with the effects. A 10km radius of the plant remains a dead-zone: desolate and uninhabited. As many as 100,000 peoplestill remain displaced, unable to return to their homes. Workers at the Tokyo Electric Power Company (TEPCO) still don claustrophobic masks and rubber suits to venture into the Fukushima facility. Their job is to decommission the plant safely, a task that plant manager Akira Ono recently said was "about 10% complete". Fukushima is now the biggest civil liability case in history. More than two million people have sued TEPCO and US$50 billion has already been paid out. This is already equivalent to 400 Exxon Valdez oil spill settlements, and experts predict the total cost of compensation could rise to US$120 billion. One notable subplot has been compensation for cases of suicide. A court's landmark decision that TEPCO pay US$470,000 to the heirs of a 58-year-old farmer's wife named Hamako Watanabe could prove much more costly. The Watanabe family were evacuated from the village of Yamakiya in April 2011, losing their farm and leaving them with a US$140,000 mortgage on their now uninhabitable home. Watanabe became severely depressed and during an authorised one-night visit to their home in June the same year, she burned herself to death. On March 11th 2011, a massive tidal wave caused by an earthquake hit the east coast of Japan. In its wake the world witnessed a nuclear disaster on a scale not seen since the reactor accident in Chernobyl in Ukraine 25 years earlier. After the power plant in Fukushima was directly hit by the Tsunami some of its reactors went into meltdown. The whole area had to be evacuated and hasn't been repopulated to this day. Five years after the meltdowns 100,000 people are still unable to go home, according to the BBC. Confronted with the catastrophic consequences of a nuclear disaster, it seemed political leaders the world over were rethinking their stance on nuclear power. However, as the chart below shows, while investment in the West has slowed, it's still the part of the world with most power plants in use by far. Fukushima or not, especially in Asia nuclear energy is on the rise. China alone has 24 reactors under construction, looking to expand its reactor capacity by more than two thirds, according to the Power Reactor Information System of the International Atomic Energy Agency (IAEA). While Fukushima once again underlined the far reaching consequences of nuclear accidents, for many countries, especially those with fast growing economies (and a growing hunger for energy) nuclear power still is an attractive energy source. This also has environmental reasons: "The impetus for increasing nuclear power share in China is increasingly due to air pollution from coal-fired plants," a country report by the World Nuclear Association concludes. Worldwide distribution of nuclear reactors in operation and under construction. When the widely respected national security mandarin Robert Gates was appointed secretary of defense in late 2006, his daily intelligence reports on the cascade of cyberattacks directed against the United States left him incredulous. As author and Slate columnist Fred Kaplan recounts, Gates was “so stunned by the volume of attempted intrusions into American military networks — his briefings listed dozens, sometimes hundreds every day — that he wrote a memo to the Pentagon’s deputy general counsel. At what point, he asked, did a cyber attack constitute an act of war under international law?” When the defense secretary finally received a response — vague and evasive, in his estimation — remarkably almost two full years had passed. What should cybersecurity in acquisition achieve, and what are the key principles for managing cybersecurity? What laws and practices shape the management of cybersecurity within the Department of Defense? What are the root causes of deficiencies in cybersecurity management of military systems in the Air Force? There is increasing concern that Air Force systems containing information technology are vulnerable to intelligence exploitation and offensive attack through cyberspace. In this report, the authors analyze how the Air Force acquisition/life-cycle management community can improve cybersecurity throughout the life cycle of its military systems. The focus is primarily on the subset of procured systems for which the Air Force has some control over design, architectures, protocols, and interfaces (e.g., weapon systems, platform information technology), as opposed to commercial, off-the-shelf information technology and business systems. The main themes in the authors' findings are that cybersecurity laws and policies were created to manage commercial, off-the-shelf information technology and business systems and do not adequately address the challenges of securing military systems. Nor do they adequately capture the impact to operational missions. Cybersecurity is mainly added on to systems, not designed in. The authors recommend 12 steps that the Air Force can take to improve the cybersecurity of its military systems throughout their life cycles. The cybersecurity environment is complex, rapidly changing, and difficult to predict, but the policies governing cybersecurity are better suited to simple, stable, and predictable environments, leading to significant gaps in cybersecurity management. The implementation of cybersecurity is not continuously vigilant throughout the life cycle of a military system, but instead is triggered by acquisition events, mostly during procurement, resulting in incomplete coverage of cybersecurity issues by policy. Control of and accountability for military system cybersecurity are spread over numerous organizations and are poorly integrated, resulting in diminished accountability and diminished unity of command and control for cybersecurity. Monitoring and feedback for cybersecurity is incomplete, uncoordinated, and insufficient for effective decisionmaking or accountability. Two underlying themes carry though these findings: that cybersecurity risk management does not adequately capture the impact to operational missions and that cybersecurity is mainly added onto systems, not designed in. Define cybersecurity goals for military systems within the Air Force around desired outcomes. Realign functional roles and responsibilities for cybersecurity risk assessment around a balance of system vulnerability, threat, and operational mission impact and empower the authorizing official to integrate and adjudicate among stakeholders. Assign authorizing officials a portfolio of systems and ensure that all systems comprehensively fall under some authorizing official throughout their life cycles. Encourage program offices to supplement required security controls with more comprehensive cybersecurity measures, including sound system security engineering. Foster innovation and adaptation in cybersecurity by decentralizing in any new Air Force policy how system security engineering is implemented within individual programs. To reduce the complexity of the cybersecurity problem, reduce the number of interconnections by reversing the default culture of connecting systems whenever possible. Create a group of experts in cybersecurity that can be matrixed as needed within the life-cycle community, making resources available to small programs and those in sustainment. Establish an enterprise-directed prioritization for assessing and addressing cybersecurity issues in legacy systems. Produce a regular, continuous assessment summarizing the state of cybersecurity for every program in the Air Force and hold program managers accountable for a response to issues. Create cybersecurity red teams within the Air Force that are dedicated to acquisition/life-cycle management. Hold individuals accountable for infractions of cybersecurity policies. Develop mission thread data to support program managers and authorizing officials in assessing acceptable risks to missions caused by cybersecurity deficiencies in systems and programs. Working with the private sector is the “next big area we need to get into,” the head of U.S. Cyber Command Adm. Michael Rogers told the House Armed Services Emerging Threat and Capabilities Subcommittee on Wednesday. He said he was generally comfortable with the authorities he has in meeting the command’s other mission sets — defending Defense Department networks and supporting combatant commanders. But in answering a question Rogers told the panel that the law covering the Pentagon’s support to civil authorities “does not explicitly address cyber.” In review where the command can help it was important not to look at “re-inventing” the framework of that support. “We have to dig in a little bit deeper” to better understand what might be needed. In his opening statement, Rogers said nation states — Russia, China, North Korea and Iran — pose “the gravest threats” in cyber. He added the Islamic State in Iraq and Syria (ISIS) has shown its strength in the cyber arena in its recruiting efforts and propagandizing. “What concerns me is capacity,” to counter attacks at the high-end coming simultaneously. He told the subcommittee that nation states have increasingly partnered with other actors — including criminal groups — to obscure what they are doing in cyber probes and intrusions, he said. Inside the Department of Defense, the vulnerability of decades of earlier investments in platforms and systems to attack remains high because they were built when cyber defense was not a major concern in the industrial base, he said. Since the 1980s, countless governments, corporations, organizations and individuals have fallen prey to hackers. Over the past decade, entertainers Lady Gaga and Justin Timberlake, London's Scotland Yard, the Pentagon, senior U.S. executive branch officials, Interpol and the gaming corporation Nintendo have also come under attack by hackers with seemingly different motivations — whether they are making a political statement, or seeking fame or personal enrichment. Hacking has become commonplace, but the aforementioned cases share a common trait that many people might find surprising: Each was ostensibly orchestrated and carried out by computer-savvy teenagers. That's right, the masterminds behind many notorious cyberattacks have not been gray-bearded computer experts or scientists with Ph.D.s from top technical schools. They have been carried out by America's youth. To protect the nation's infrastructure, the U.S. military should consider embracing and cultivating this unexpected pool of talent — and follow the lead of the National Security Agency, which began holding summer camps in 2014 for middle school-aged hackers. HUNTSVILLE, Ala. — The US Army’s Training and Doctrine Command laid out its "Big 8" initiatives Wednesday during the Association of the US Army's Global Force Symposium. The goal of the Big 8 is to stay ahead of global threats and maintain overmatch against present and future adversaries. • The Future Vertical Lift effort. • Soldier/team performance and overmatch. Moving these efforts from initiatives to fielded capability will prove challenging. The next five years – a typical Defense Department future years budget planning cycle – poses “significant risk,” specifically to the Army as it fights the other services for funding major priorities, said Jim McAleese, a Washington-based defense budget analyst, during a Big 8 panel discussion. For example, the Navy need to fund its Ohio-class replacement submarine and the Air Force is looking to bring its Long Range Strike Bomber into low-rate initial production around the 2023 timeframe. Both of these goals require major funding, McAleese explained. On the bright side, he still projects a steady budget for tracked vehicle programs. The future also looks bright for Stryker vehicle and Paladin artillery system programs. The Army missile procurement budget looked good, too, he added, but the boost in the 2017 budget request has more to do with the need to buy extra Hellfire missiles to combat the Islamic State group.